The Vale’s Paralympic heritage will be strengthened if plans for a new national trust based in Aylesbury are given the seal of approval. A National Paralympic Heritage Trust has been proposed and if funding can be secured, it will run a museum at Stoke Mandeville Stadium. It will also organise the heritage flame lighting ceremonies from 2018, when the Pyeongchang Winter Olympics take place. 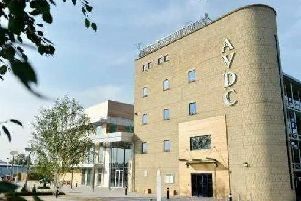 If Aylesbury Vale District Council agrees to push the plans forward at cabinet on Tuesday, an application will be submitted to the Heritage Lottery Fund in September. The fund, which has already provided a start-up grant of £10,000, will then give the green light in December. Along with AVDC, the trust would be run by the British Paralympic Association, Wheelpower and Bucks County Council. It will be headed up by former chief executive and trustee of the River & Rowing Museum at Henley, Paul Mainds. The trust will raise awareness by creating a permanent site, running national networks of exhibitions and creating on online archive. In March last year, an hour-long ceremony was held in Stoke Mandeville – the birthplace of the Paralympics . It celebrated the start of the winter games in Sochi and included a spectacular firework display after speeches and two specially made videos. Hannah Cockroft, double Paralympic gold medallist at London 2012, sat in her wheelchair high above the stage and spun a six metre framework of rings until one burst into flames. It was the first time that a torch lighting element has taken place outside of the host nation. A spokesman for the trust said the four groups will work together to ensure that Stoke Mandeville’s ‘unique heritage’, as the birthplace of the Paralympic movement, is ‘captured and celebrated’. She said: “Its structure and detail have yet to be finalised and funding is yet to be secured.